PT100 EXT sensors measure and monitor air, liquid and solid surface temperature. 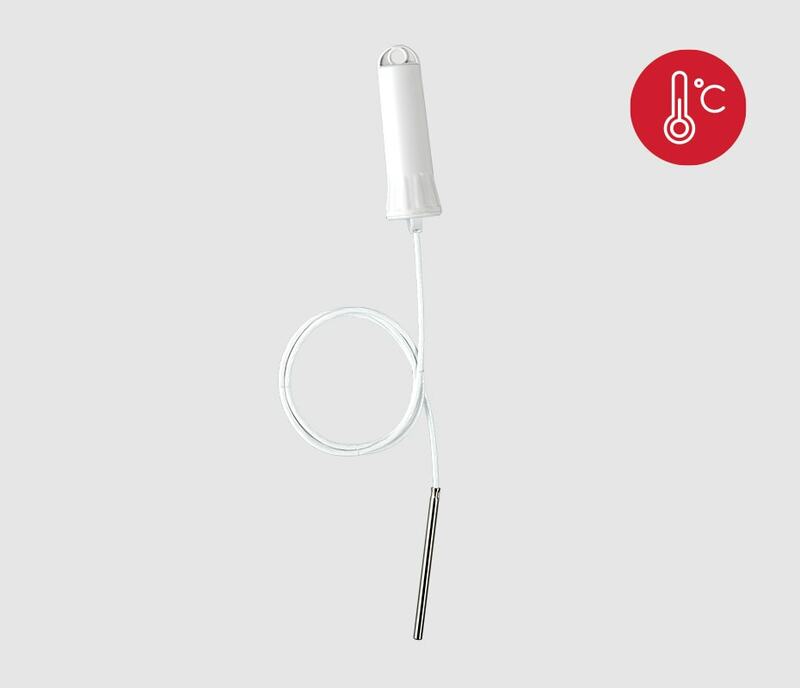 The probe can be placed in liquids or places that require close contact temperature measurements, like heating pipes or soil. Use cases include air conditioning and ventilation systems (HVAC), food industry, chemical and medicine laboratory, bio-engineering.